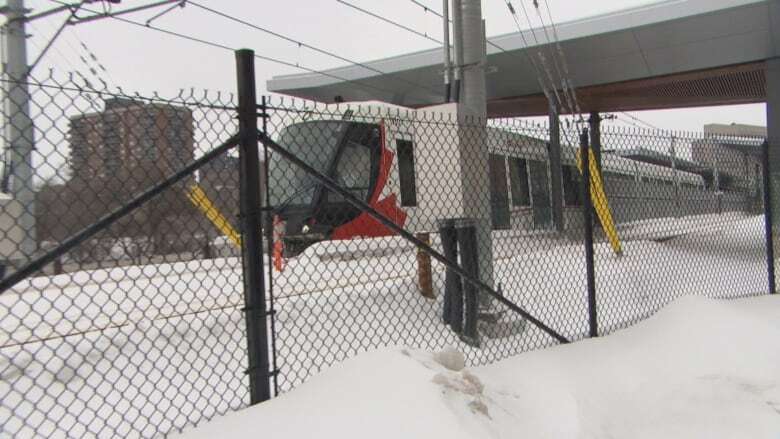 The $2.1-billion light rail system that was supposed to be completed by the end of this month appears to have significant issues, CBC has learned — especially when it comes to surviving Ottawa winters. Ottawa's $2.1-billion light rail system, supposed to be finished by the end of this month, will not only miss its third completion deadline but is experiencing issues far more serious than city officials have led the public to believe, according to internal reports obtained by CBC. 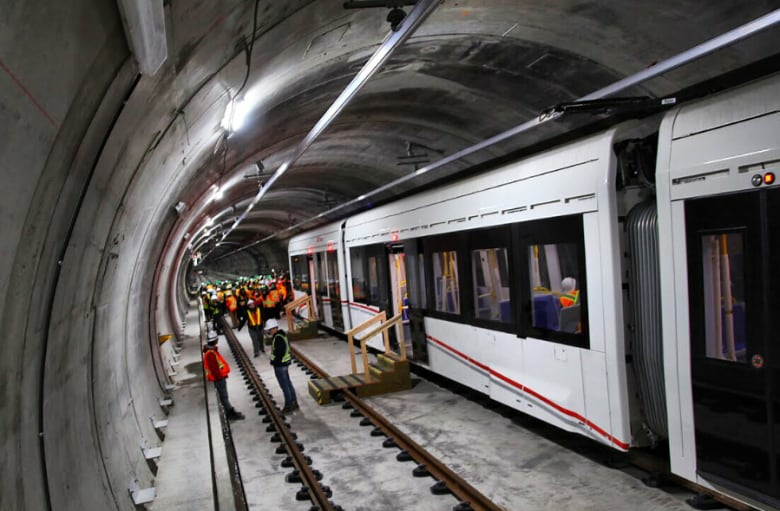 The reports from the city's rail operations show a litany of issues with the Confederation Line — the east-west system being built by the SNC Lavalin-led Rideau Transit Group — especially when it comes to the system's ability to handle Ottawa winters. "Vehicles are currently unreliable to the point that it has not been demonstrated that operations can be sustained during a winter weather event," according to one report from last week. The reports say that "panels are coming loose and breaking on LRVs [light-rail vehicles] due to snow building up on the vehicles," and that snow and ice are "frequently causing the doors to freeze shut." Both brakes and bogies — the underframe of the rail car that holds the wheels — also freeze up if the vehicles "sit for any amount of time" outdoors during a snowfall. The on-board heating system doesn't always work, and neither does the communications system. Late last week, one train had to be towed back to the garage by another train — not the first time that's happened — and an operator reported smelling smoke at a station. The reports are far from a comprehensive review of the LRT project, largely documenting problems with the light rail vehicles over just the last few weeks. But those problems paint a more dire picture of the obstacles facing LRT than what's been revealed to the public. CBC has reported before on issues with the Alstom Citadis Spirit — an untested light-rail vehicle – that have been posing problems. After the major snow storm last month, not a single car was tested on the track for more than six days. All 34 rail cars must be operational and signed off as good-to-go before RTG turns over the LRT system to the city. Each train set that will run on the track will be composed of two cars, for a total of 17 full trains — 15 of which will be in service at any given time, allowing for two spares. Last month, only about six cars were being tested. That's up to 12 now, according to the city's rail director, Michael Morgan. Still, few rail cars have been tested from one end to the other of the 12.5-kilometre track, and there's been no testing at all of two-car train sets. Ten of the light-rail cars aren't even allowed on the track yet. It's also not clear how the city would ensure the system works in winter if RTG hands over the system in the spring or later, once snowy weather necessary for testing has passed. Morgan said only that RTG would "need to demonstrate that the system works to our satisfaction in winter." Asked about the report that says vehicles are "unreliable", Morgan says the LRT project is a work in progress. "It's a two-billion-dollar system that we've built — a lot of infrastructure, a lot of moving parts and pieces. 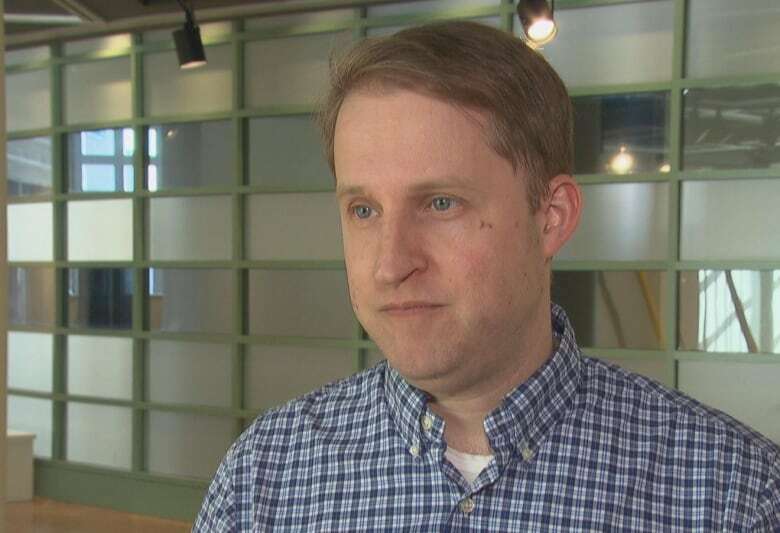 And so we need to show that all of those things are working, and that's why we're testing, and there are issues that arise in any testing program," he told CBC. While the need for testing isn't disputed, RTG CEO Peter Lauch told councillors at a meeting last month that the consortium expected to make its March 31 deadline. However, given the issues itemized in the documents obtained by CBC, Lauch must have known at the time that meeting the deadline was all but impossible. OC Transpo boss John Manconi was a bit more forthcoming, saying he was "highly skeptical" that RTG would be finished on time. Manconi only made that comment after a pointed question from Coun. Diane Deans, more than an hour and a half after that meeting had started. Deans now wants to know why a fuller picture of the LRT progress wasn't volunteered to councillors. 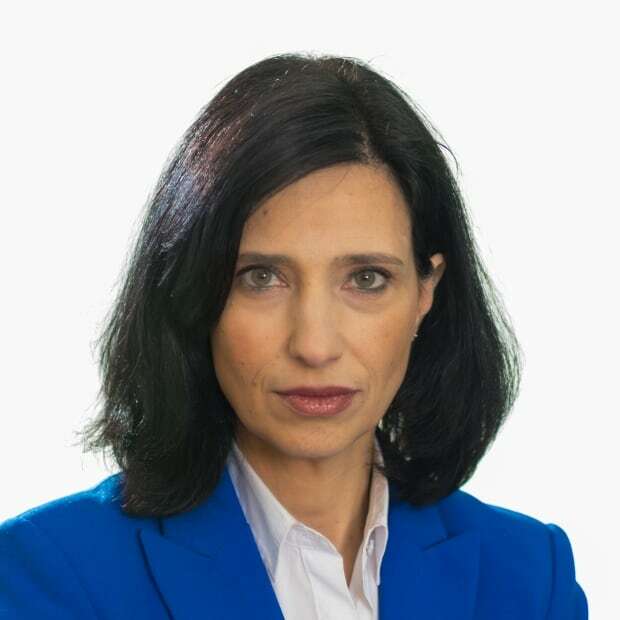 In an interview, she said she plans to ask more pointed questions at Tuesday's finance and economic development committee, where an LRT update is the first item on the agenda. "We need some real specifics, and it appears that you have to know what question to ask in order to get to the heart of the issue," said Deans. "It's very concerning because it leaves a big question mark about when Stage 1 will be ready — will it be ready soon or will it be a long delay?" "And is this a fixable problem, or is it something that is structurally a major problem in a winter city like Ottawa?" Deans added. "I just don't know the answers to those questions." Morgan said he is "confident" the LRT will be finished in this calendar year and that RTG is "getting very close." Coun. 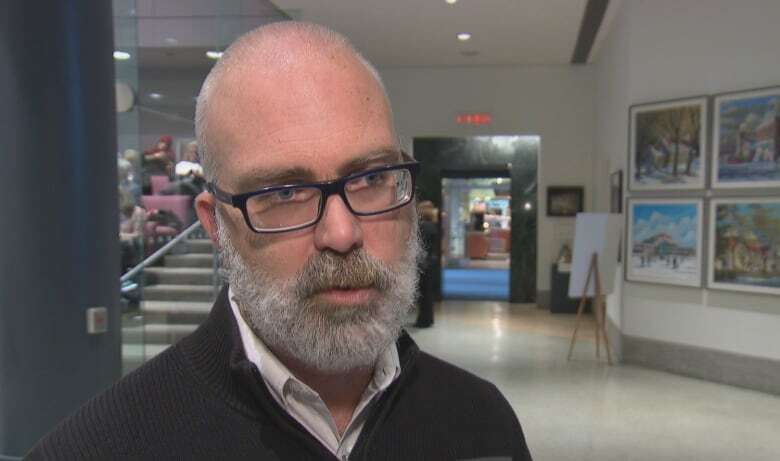 Jeff Leiper, who's returning to City Hall Monday after recuperating from a mild heart attack, has serious concerns about the consequences of the delay on the existing transit system. He wants straight answers from staff — no matter how politically inconvenient they may be. "Clearly, at this point we need to have an idea from staff about just how long this is going to be and I don't know why they're not telling us that," he said. "Yes, it leads to some very uncomfortable conversations. Yes, it reflects poorly on the city and on city council that we are this far behind. But the time to protect our reputation is long past. We need honest answers today." In light of the LRT delays, Leiper said the city must put more money into the existing OC Transpo service. "We know that our transit system is falling apart at the seams," he said, adding that he's worried there's no money in the 2019 budget to improve bus service. Council is set to vote on both the 2019 budget and the $4.66-billion expansion of the LRT on Wednesday. Leiper argues council should delay that vote until it gets a clearer picture. "I think it would be a mistake to go ahead with Stage 2 until we understand the dynamic that got us to this point," he said. "I don't think that we have the time left right now to try to understand why we're at the point we're at and be able to vote with confidence on a multi-billion dollar second stage."